Are you looking for Google AdWords tips to help make your ads more effective? Well, look no further. To start with, Google AdWords for small businesses can be a very powerful online advertising tool. Why? Because everybody uses Google and you can target people who are ready to buy using Google AdWords. Google AdWords is an online advertising platform where small business owners can display an advertisement for their products and services within the Google network. The two main types of advertising within Google are Search ads and Display ads. I'd say that Search Ads are the most relevant for small businesses. You can choose keywords that customers might type on Google and then, build an advertisement that will appear on the Search Engine Results Page (SERP) based on those keywords. It's easy to measure your results. It's cost-effective and you can determine how much to spend. You can target people on a number of factors like location, device type and time of day. You can remarket to people who have already expressed an interest in your business by visiting your website. It's quick. Once your ad is live your business is showing up on page one of a google search! Do you need to spend a lot of money to run a successful Google Adwords campaign? How do you save money by doing it? Is Google Adwords an effective online advertising tool? An organized account is the key to an optimized and cost-effective Google AdWords campaign. The more organized your account is, the clearer the campaign focus will be, it will be easier to monitor the flow of traffic, and quicker to maintain and adjust quality. All these translate to a lower cost per click. What is an Ad Group? An Ad Group contains one or more ads which target a shared set of keywords. In the case of a department store, Men's Shoe Department is your Ad Group while Nike and Adidas are your Ads. What happens when you use a single Ad Group for everything you advertise? People are very unlikely to click your ad. You can't set different bids for different keywords, based on the best-performing ones. Search Network ads are placed on search results while Display Network ads are shown alongside content on a webpage. Each network is different in terms of success path and quality scores calculation. Unfortunately, most businesses waste money by not separating Search and Display Networks. Choose between Search Network with Display Select and Search Network Only. Another Google AdWords tip I'd like to share is to fine tune your bidding. What is a bid anyway? Your bid puts you in an auction every time Adwords has an ad space available like on a search result, or on a blog, news site, or some other page. You can focus on clicks, impressions, conversions, views, or engagements depending on your campaign goals and budget. Remember that your bid is influenced by industry, seasons, and competition, and they change rapidly over time. Google Planner Tool has good bid suggestions you can follow but if it doesn't work, you can always change it. Everybody has a budget set for spending and when it comes to AdWords bids, feel free to adjust it whenever needed to save money. However, keep in mind if you bid too low your ad performance can suffer. By default, mobile devices automatically receive the bid you set for the ad group unless you change it after you save a new ad group. The Setup Wizard leaves this little detail out for some reason. If your site looks off on a mobile device or has conversion issues then you need to fix it, or lower the bid, or feel free to turn it off completely. Under the Bid Adjustment column for Mobile Devices with Full Browsers, select Decreased By and put in 100%. This opts you out from showing ads on mobile devices. If you want to be on mobile, put a different number in to set your mobile bid amount. which is a waste of money and a lost opportunity for you! 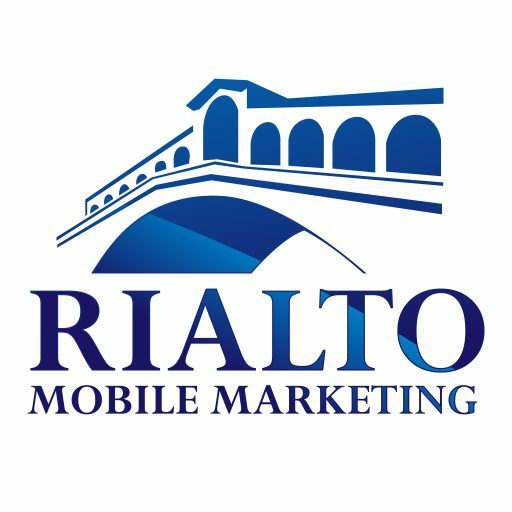 For example, if a visitor is looking for a service with the keyword "mobile marketing", then your page should direct them to a page focused on mobile marketing and have some type of call to action so they can take the next step with your business. You'd be shocked at how many people make this mistake. Taking your budget and spreading it thin through various campaigns is tantamount to DISASTER. Spend your Google AdWords money where it matters. Consistently check your campaigns to remove useless keywords. For example, if you're selling boat shoes, spend your money on the main keyword which is "Boat Shoes" and forget other secondary keywords like "Boots", "Slippers", "Leather Shoes" etc. Targeting the correct keywords is really important to creating successful Google AdWords campaigns. Although all AdWords metrics are important, there are a few that you should pay more attention to because they tell you if your investment is turning into profits. I'm referring to Conversion Rate, Quality Score, and Impression Share. Conversion Rate is the average number of conversions per click. It is calculated as the number of conversions divided by the number of total ad clicks. For example, if you had 5 conversions from 100 clicks, your conversion rate would be 5%, since 5 ÷ 100 = 5%. A poor conversion rate can indicate landing page or offer problems. Your quality score has a direct impact on your Google AdWords success because the better your quality score, the lower your cost per conversion will be. Impression Share is mostly overlooked by advertisers. It is the percentage of impressions that your ads receive compared to the total number of impressions that your ads could get. Impression share can give you a great indication of why certain keywords are not performing well. Enabling conversion tracking is a must! Do it if you can't track what keywords brought sales or even if you don't know the amount of the sale. Type in a Conversion Name (e.g Sales or Transactions). Select a Conversion Category (e.g Purchase/Sale). Select a Conversion Window (This depends on your Sale Cycle). Select Markup Language (Ask your developer if you don't know what to select). Set up a Tracking Indicator. Select Who Makes Changes to the Code on your Website. If it is another person, click Someone Else Makes Changes to the Code button, enter the person's email address and a code will be emailed to him or her. If it is you, click the I Make the Changes to the Code button. The page will give you a block of conversion data code. You can paste this code between the body tags on the Receipt page, Thank You page, or Submission Receive page. These Google AdWords tips will provide your business heaps of benefits, so use them to your advantage. Now let's take a look at some common mistakes to avoid. This is a kind of keyword match that shows your ads regardless of the word arrangement when people search using your keywords. For example, if your keyword is mens leather shoes, your ads will show for a broad match for mens shoes leather, leather mens shoes, shoes leather mens, etc. Even if customers don't intend to buy your products or services, a mention of a few words will already display your ads for them. You need to be careful about using broad match because your ad may end up displaying for someone your ad is not relevant for. This is when ads appear whenever people search for your keywords in the exact order. For example, if your phrase match keyword is mens leather shoes, your ads will only show if people type in mens leather shoes or new mens leather shoes. To enter a phrase match keyword, enclose it in double quotation marks, like this: "mens leather shoes"
In Exact Match, ads will only display when the exact or specific keyword that you’re targeting is searched for. For example, if your phrase match keyword is mens leather shoes, your ads will only show if people type in exactly mens leather shoes. Ad Extensions are additional pieces of information to your ad. It could be your business phone number, address, or prices. There's no cost to add extensions to your campaign. Customers are easily drawn to Google ads that look legit and ad extensions do a great job in making sure your ad looks the part. Gives your ad greater visibility on the search results page. Increases your total number of clicks. Gives people interactive ways of reaching you—as with maps or calls. People quickly look away if an ad was written badly. Instead of clicking it, they would rather just walk away. Highlight what makes you unique (Free shipping!). Include prices, promotions, and exclusives. Empower customers to take action (Buy Now! Pre-order Today!). Include at least one of your keywords. Appeal to customers on mobile. Negative keywords are important in making sure your ad doesn't appear where people aren't interested. Imagine a Nike shoe ad appearing in a string of iPhone ads - it won't make sense. Using negative keywords lets you exclude unnecessary words to optimize your ad. Remember that high-quality keywords will give you the biggest advantage in being found by potential customers. If you are selling accounting software you may not want to target people shopping for "free accounting software". If you are selling leather shoes, but only for men, you may not want to target people searching for womens leather shoes. If you are an accountant you might want to use "jobs" as a negative keyword so your ad doesn't display for someone searching for "accountant jobs"...that is unless your company is hiring. You might find this negative keyword tool extremely helpful. Aside from bidding on high-quality keywords for your products and services, it's also wise to bid on your own brand name. How does this help you? It adds more value to your brand and provides higher conversion opportunity. When people search for your brand or company name, they're likely to purchase or sign up. But, if your competitors are bidding on your brand name and you're not, they will show up at the top of the search results when someone searches for your brand name. By the way, bidding on brand names is usually pretty inexpensive. The image above is a great example of how bidding on your own brand can help you land on top of Google's first page. It's also a good example of how other brands can use your name to rank. Customer Lifetime Value or CLV is a metric to determine the total net worth of a customer to a business at a given time. In other words, CLV represents the amount of time and money a customer is willing to spend for a brand. CLV is used to calculate the spending and expenses of a business in building a relationship with new customers. You must know your CLV in order to determine how much you can actually afford to pay for your ads. The common mistake most small businesses make is they only look at what the initial sale is worth to determine how much they can afford to pay for ads, when in fact they can afford to pay a lot more. Why is this important? The company who can pay the most to acquire leads will always be the winner because they can outbid the competition to acquire more leads. Did you know that positions from number 3 to 5 are better for quality clicks, traffic & conversions? Ranking # 1 in search results isn't always good for better ROI unless your main goal is brand awareness. According to KissMetrics, people tend to be click-happy with the top two positions. They may click whether they’re seriously interested or not. But if your ad is in position 3-5 (or possibly lower), then it’s not the first thing people see. What does this mean? Zero ad position testing can hurt your online advertising efforts. To find the optimal position, test by bidding higher or lower on cost per click (CPC). If a lower bid doesn't give you a good result then bid higher. There are 2 more keyword match types that you must know - Broad Match Modifier and Negative Match (I already touched on this one in Mistake #4 above). Cascading Bids is a system where you combine the 3 keyword matches - broad match, phrase match, and exact match - to get the best results. Don't use too many negative keywords. This can cause difficulty in tracking results. Always customize your negative keywords across all your campaigns. Use a spreadsheet to track your high-quality and negative keywords. "Instead of settling for low bids that’ll keep you at the bottom, increase your bid in order to stay at the top and get the majority of the clicks. Spend the most on branded search terms, because they convert very well." Google AdWords for small business can be tricky and sometimes you might feel completely lost, but with the right strategy and techniques, it will get easier. Keep in mind that these Google AdWords tips are useless if you don't actually put them into practice. Give them a shot and let me know how they work for you. What do you think about these tips? Did you find them helpful?